Three iOS Space-Biffs | SPACE-BIFF! Shifts: Each crewman has their own unique set of skills. In Shifts, the debut title from Threadbare Games, humanity has been very nearly wiped out. In fact, we’re only five points from total extinction. This is the tale of that final ragged human crew and their quest to seek out a few suitable worlds that will sustain colonization by the seeds that will blossom into a new hope for mankind. As you might expect, this isn’t as simple as just floating over to the nearest Class-M planet and using a space-hose to spray genetic material across the surface. Our five heroes are hounded by all sorts of crises during their journey. 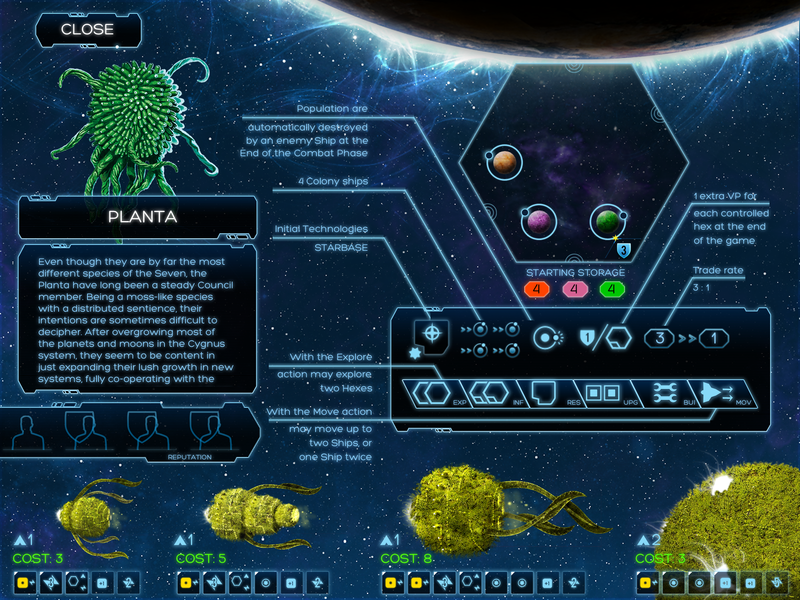 Not only are habitable worlds rare and thus must be carefully sought out, but the ship also faces dangers ranging from sabotage at the hands function buttons of the friendly onboard AI to exciting computational navigation errors. Worst of all, the crew faces the threat of their own fatigue as they struggle to keep up with their demanding schedule before the ship completely deteriorates, or runs out of energy, or all the stored genome ARKS are corrupted. It’s a sensible enough setup. Too bad it doesn’t last. At this point, imagine someone delivering a tired “Houston, we have a problem” joke in hilarious monotone. See, the word “Shifts” doesn’t refer to, say, redshift effect or time-shifts or something exciting like that. Rather, it’s about the rotating work shifts of your five crew members. Every turn you assign someone to each of three shifts, and those assigned crewpeople will grow gradually more exhausted while those who you did not assign will rest up, though the method of their recuperation is a mystery, because apparently they aren’t sleeping: while off-duty, each crewperson grants some sort of passive bonus, like the ability to pilot the ship farther, or an extra action, or the capability to use your ship’s scanners. 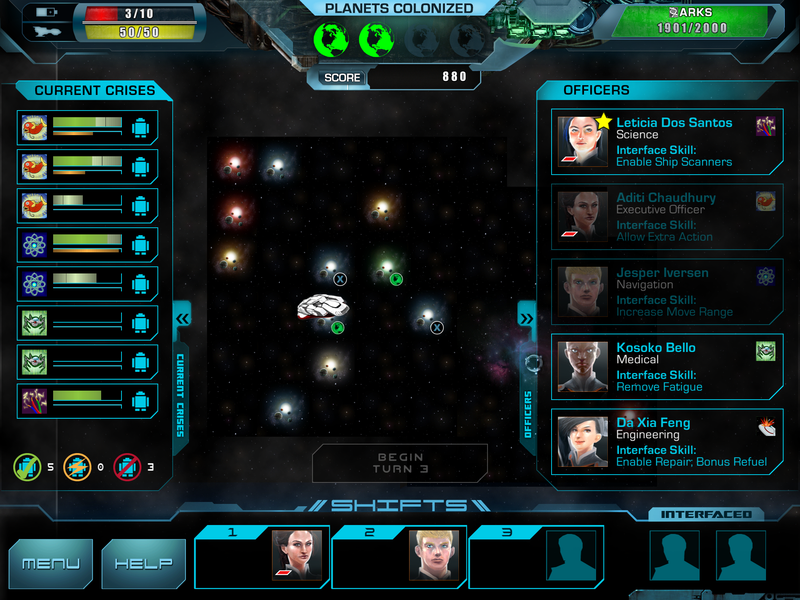 Shifts: Colonizing planets to save the human race. Of course, there are tons of games that build compelling scenarios out of simple mechanics. Even though the only task in Shifts is assigning, ahem, shifts, and then pootling around the galaxy in your starship, surely the various crises that arise to challenge your crew are interesting, at least? Well, not really. They’re all functionally identical, other than the fact that they’re represented by different icons and thus require solving by whichever crewman matches that icon. All that stuff I wrote above about a killer AI that’s sabotaging the ship’s ARKS? That’s a fish icon, and it’s only fixable by Executive Officer Aditi Chaudhury. The only difference between that and the frayed wires icon is that those can only be repaired by science officer Leticia Dos Santos. I’m going to present my final score for Shifts as a puzzle. You can learn what I think about it by removing just one letter from its title. (Hint: the final score is not “hifts”). The original idea was that Star Command would be a lot like a season of Star Trek. You’d take up the mantle of captain, manage your crew, customize your ship, fight space battles, deal with enemy boarding parties, go down to the surfaces of planets on away-missions, explore the wider galaxy make patching repairs, deal with hull breaches, and all sorts of fantastical promises that enticed a whole bevy of nerds into supporting two Kickstarters, the first of which proved inadequate once the creators realized they hadn’t asked for nearly enough cash to realize their design dream. Well, even that second Kickstarter didn’t do it, because the product cleared for release has about a fourth of the content of the original pitch. To be fair, the creators of Star Command have said they’re going to continue to add onto their controversial masterpiece. I hope they do, because a Next Generation simulator is basically my wildest nerd fantasy; and also because the game in its current incarnation is, well, pretty damn slight. 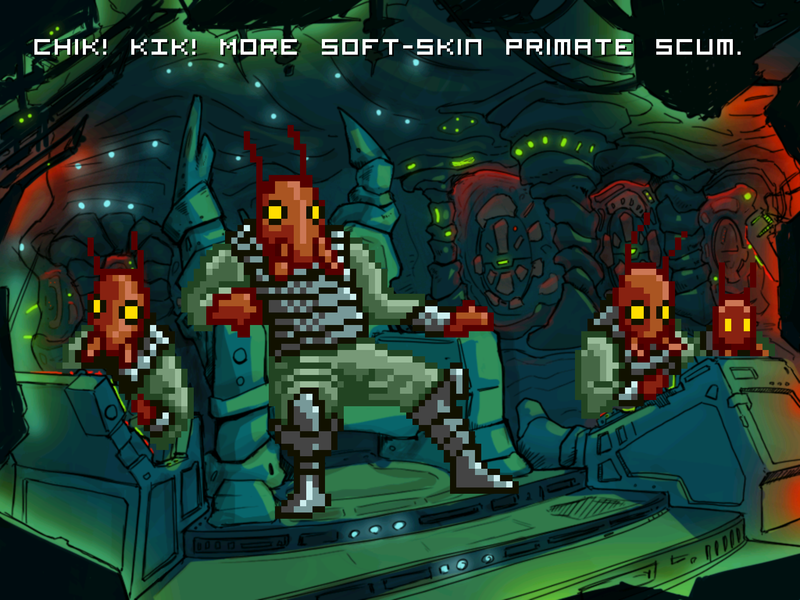 Star Command: Boldly stopping a space-zombie infection. Gameplay is broken into three spheres. In the first, you use the tokens you’ve earned from completing missions to build new parts onto your ship. These can take a variety of shapes, just so long as you’re only interested in circles and squares, and very occasionally, hexagons. Which is to say, there just isn’t that much variety. Early on, you have a choice of three weapons, and they all fall into three archetypes: the torpedo that’s slow and requires manufactured ammunition but is incredibly powerful, a medium-speed medium-damage laser, and an ultra-fast pew pew machinegun. There are a couple of shield/medical options, a couple engineering options, and that’s it. 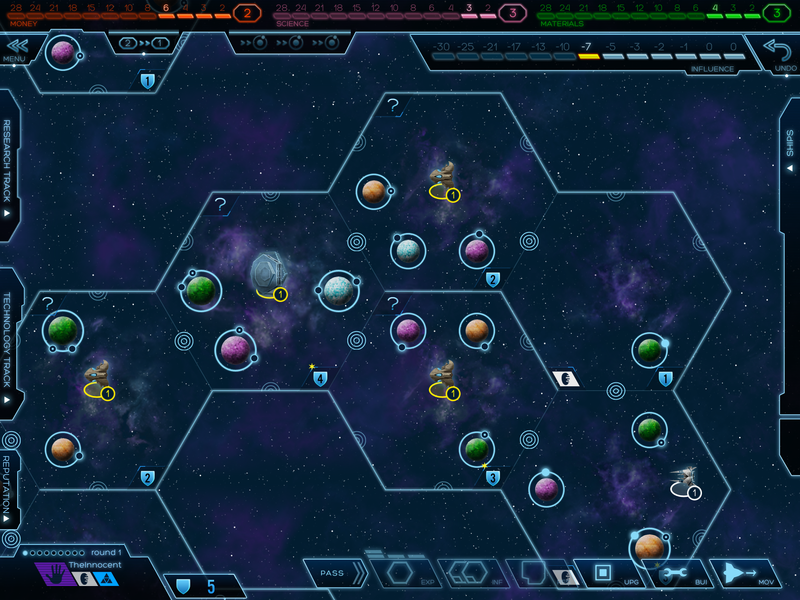 Better ships, which you can unlock by playing through the game once, allow for more rooms, but the design never becomes all that much more exciting. The second gameplay type is ship-to-ship combat, in which you’ll use those torpedos and lasers and pew pew machineguns to hammer at an enemy ship, hopefully blowing up the buggers before they penetrate your shields. This is done by assigning crew to shifts (see what I did there?) in the weapons rooms, and occasionally clicking through a reflex-based targeting minigame to ensure a hit. Between slow-charging shots, you’ll do a whole lot of waiting. Even discounting the fact that there’s no such thing as an evasive maneuver in the Star Command universe except for occasionally clicking to spend a token to dodge incoming fire, there isn’t any actual thinking portion to any of this — nothing is required beyond nimble fingers and nothing else to do with your time. Third, enemies will occasionally beam over to your ship, though this isn’t tied into any sort of useful feedback — for instance, in the starship combat game FTL, enemies beaming onto your ship were actually coming from somewhere, and killing them depleted the enemy’s reserve of troops. Here, endless enemies shamble at you in a straight line, sometimes zapping and sometimes pawing. You’ll react to this by lining up your crew and gunning them down, maybe retreating by a couple tiles or positioning a healing officer behind the main firing line. Look, I really do hope Star Command continues to receive updates. Until they do though, my final score is that it just might be even duller than Shifts. One of Eclipse’s many distinct races. I’m grateful for Eclipse: New Dawn for the Galaxy from Big Daddy’s Creations (creators of the excellent port of Neuroshima Hex as well), because it’s also the new dawn for this article. It’s every bit as expansive, varied, and wonderful as those other two games are limited, flat, and dull. It’s based on one of the best board game releases of 2012, and it has everything that game has to offer — with one exception. 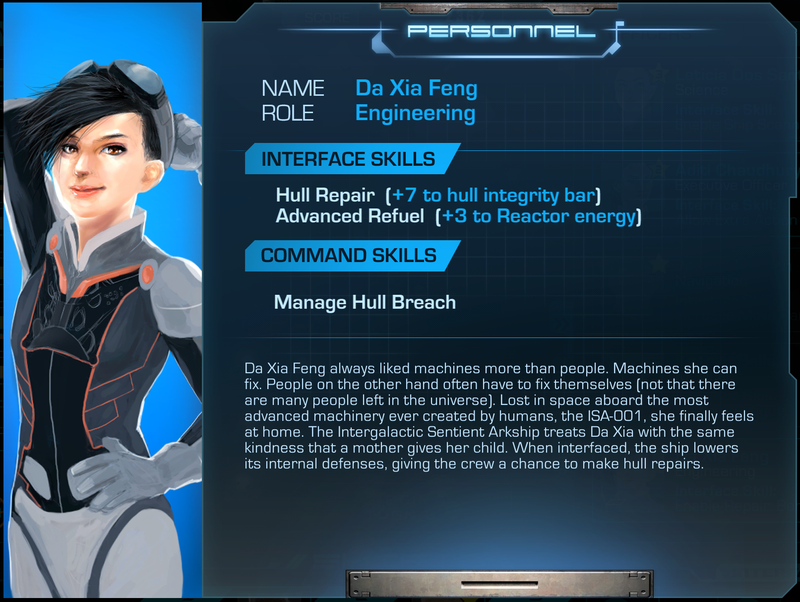 (1) A non-linear tech tree that encourages specialization, and the ability to attach new ship components to your various spacecraft, transforming them into missile-boats or over-armored targeting computers or ultra-fast warp raiders. (2) Exploration outwards towards poor uncontested sectors while you wage a continual cold war for the richest inner regions. (3) An alliance and traitor mechanic that affects your victory points at the end of the game. Victory points, by the way, are constantly measurable, so there’s very little confusion about who won by the end of the game. (4) All the stress of managing a star empire, which as it turns out is pretty hard and leans towards bankruptcy if you overextend yourself. (5) All this and more, wrapped up in a nice multiplayer bow that works like a dream. The way to the center is blocked by relic defenders. Yeah yeah, all you care about is that tantalizing one exception, innit? Well, it’s the same downside that most board game ports have: it lacks that particular social element that makes the game work. Since you’re playing against people you can’t see, it’s impossible to nudge them under the table, or manipulate them into attacking their ally, or any of the delicious pistachios that are only possible when you have a group of friend-nemeses seated around the same table. Even so, this is as close as it gets. That’s my final score: as close as it gets to actual boardgaming goodness. Posted on May 13, 2013, in Reviews and tagged Big Daddy's Creations, Eclipse, iOS, Shifts, Star Command, The Fruits of Kickstarter, Threadbare Games. Bookmark the permalink. 4 Comments. 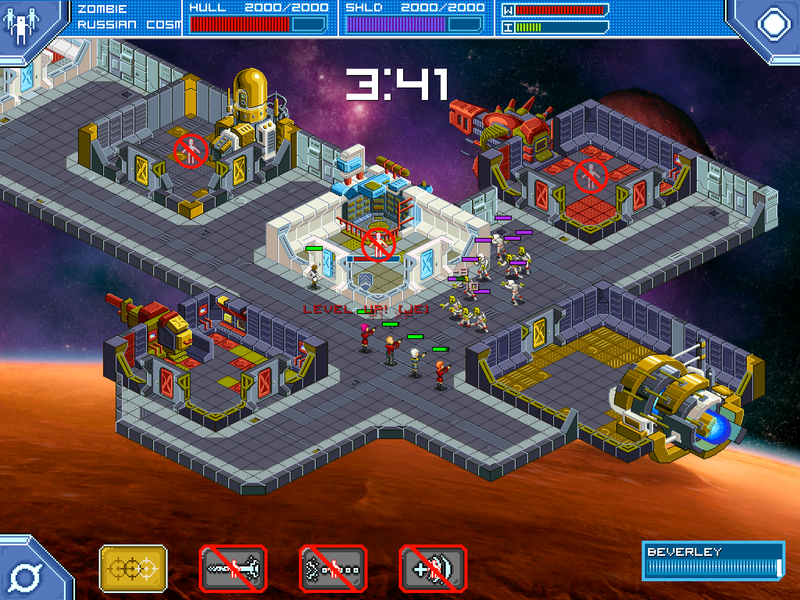 Did you had the chance to try Spaceteam yet ? Basically, it’s a (very) streamlined Space Alert iOS port and it’s tons of fun with the right crowd. I actually really like my android Nexus 7 tablet but I really do feel like the poor kid looking in the candy store window and looking up to that great supreme being in the sky and just screaming WHY!!! Then my friends come out eating Gob Stoppers and point and laugh. Damn IOS. Eclipse looks way fun. At least in this instance two of the candies are turds.